Annamarie Phelps CBE is the Former Chairman of British Rowing, Vice Chair of the British Paralympic Association and remains Vice Chair of the British Olympic Association and Commonwealth Liaison for the International Federation for Rowing, FISA. In 2017 Annamarie was elected to the European Rowing Management Board. 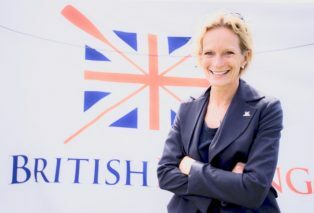 She is a former World Champion in Women’s Lightweight Coxless Fours and indoor rowing and represented Great Britain in the women’s eight at the Atlanta Olympic Games in 1996. She is currently leading the Cycling Independent Review and involved with the on-going DCMS Duty of Care Review. Annamarie was Lead Safeguarding Officer for British Rowing for 11 years, and oversaw the anti-doping, governance and equality policies within the National Governing Body as Deputy Chairman from 2002-2013 and has championed safeguarding for adults at risk in sport on the Sport & Recreational Alliance Steering Group. She was the first female board member of The Boat Race Company Ltd, working with the sponsors and men’s clubs to bring the Women’s University Boat Race to the Tideway in 2015. Annamarie was the second women to be elected a Steward of the Henley Royal Regatta. A specialist in nineteenth and twentieth century decorative arts, post-war textiles and contemporary crafts, Annamarie is a non-executive Board Director of The Fine Art Society plc. She has been involved in curating a number of pioneering exhibitions and publications including Pop! Design Culture Fashion, Austerity to Affluence and Artists Textiles in Britain, with Geoff Rayner and Richard Chamberlain; Arts & Crafts Textiles; John Moyr Smith; and The Ambassador, published by the V&A. She has contributed to and edited the Decorative Art Society Journal, Country Life and Rowing and Regatta magazine.